I love being a blogger. When I started blogging over three years ago, I didn’t have a plan. There was so much I didn’t know then. Honestly, there’s still so much that I don’t know but I love it. I love connecting with all of you. I love partnering with some really awesome brands. 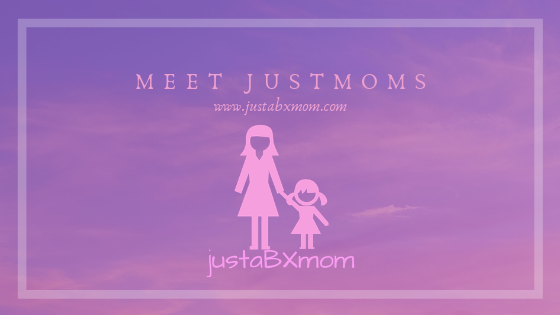 I love getting to introduce JustaBXgirl to fun experiences and so much more. One thing that I have learned over the past few years is that much like parenthood, to feel successful at blogging you need a supportive village. I’ve been blessed to have found some really great bloggers to add to my blogging village. They have helped me get my footing on this journey. You know that saying, NO NEW FRIENDS? Well, if I would have listened to that you probably wouldn’t be reading this post now because I might have given up on blogging a long time ago. I’m happy that I’ve made new friends but that definitely doesn’t mean that I’ve left behind any old ones. In fact, the main point of this post is to tell you about a few of my old friends that I look forward to you getting to know a lot better. Tamiqua and Aishah are two very dear friends of mine and they have recently become contributors to this site. You might have seen them added to the about me page or have read some of their posts. I should have formally introduced you all ages ago but I’m not good at remembering to introduce people in real life so why would I remember to do it online??? Tamiqua and I have been friends since high school. We are talking over twenty years. We have shared so much over the years. We have laughed. We have cried. We have celebrated and have mourned together. She is one of my soulmates. She is the reason that I was successful at breastfeeding. Oh, and friend brag, she just became a certified lactation consultant. You can check her business out at Latching In Love. Recently, Tamiqua agreed to join my site as a contributor sharing what life is like being a mom in New Orleans. She will be sharing about must see activities happening in NOLA as well as sharing her take on different trends heating up in the mom blogger industry. You can find her posting about her experiences here and on Instagram. Aishah and I have been friends for probably about fifteen years. We became friends when we both spent our nights popping bottles and hopping flights. One day we will share the story of the night we met. It is hilarious. Either way, after meeting we became travel buddies. Two women that truly believed in working hard and playing harder. We also were two women that decided to postpone having children for a while. Ten years ago when a lot of our friends were posting baby photos we were more interested in posting party or travel photos. We’ve come a long way! I mean, y’all know how obsessed I am with JustaBXgirl and have you seen the gorgeous baby that Aishah has? Aishah has joined my site as our resident baby contributor and also shares fun on the other side of the bridge (New Jersey). You can find her here and on Instagram.